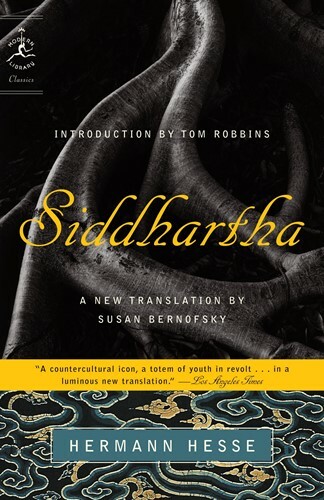 In the novel, Siddhartha, a young man, leaves his family for a contemplative life, then, restless, discards it for one of the flesh. He conceives a son, but bored and sickened by lust and greed, moves on again. Near despair, Siddhartha comes to a river where he hears a unique sound. This sound signals the true beginning of his life -- the beginning of suffering, rejection, peace, and, finally, wisdom. From the Paperback edition.